Dolphins live in all oceans, and even in some important rivers, and dolphins have been on earth for 15 million years. There are different foods for different dolphins, like the large ones eat marine mammals like seals or sea lions, and sometimes turtles, and the smaller ones eat fish like herring, cod or mackerel, squid, and other cephalopods. How much dolphins eat depends on how much they weigh. An average dolphin weighs 200-250 kg and will eat between 10 kg to 25 kg of fish every day. Their are nearly 40 different types of dolphins swimming in the waters of the world, and dolphins are known for their playful behavior. They are highly intelligent, and they are as smart as apes. A dolphin calf nurses for up to two years, and calves stay with their mothers from three to eight years. Because dolphins are mammals, they need to come to the surface of the water to breathe, and unlike land mammals that breathe and eat through their mouths, dolphins have separate holes for each task. Dolphins can hold their breath underwater for eight to ten minutes, but some can hold their breath for 15 minutes. Dolphins breathe through their blowhole, which is actually covered when they go under water. Dolphins have few natural enemies, and humans are their main threat. Pollution, fishing, and hunting are some other threats. The largest dolphin species is the orca, or the killer whale. Male orcas grow to about 25 feet in length and weigh about 19,000 pounds. The most a dolphin can live for is 40 years, and for the orca, it is 70-80 years. Dolphins cannot fully go into deep sleep because they need to breathe, and their brains are half asleep. 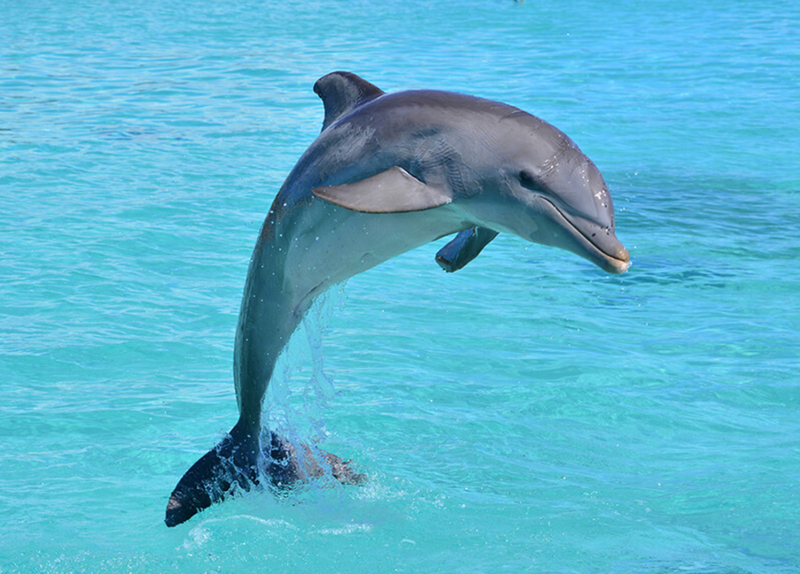 The name of the female dolphin is ‘’Delphinidae’’ and they are the most important dolphins.